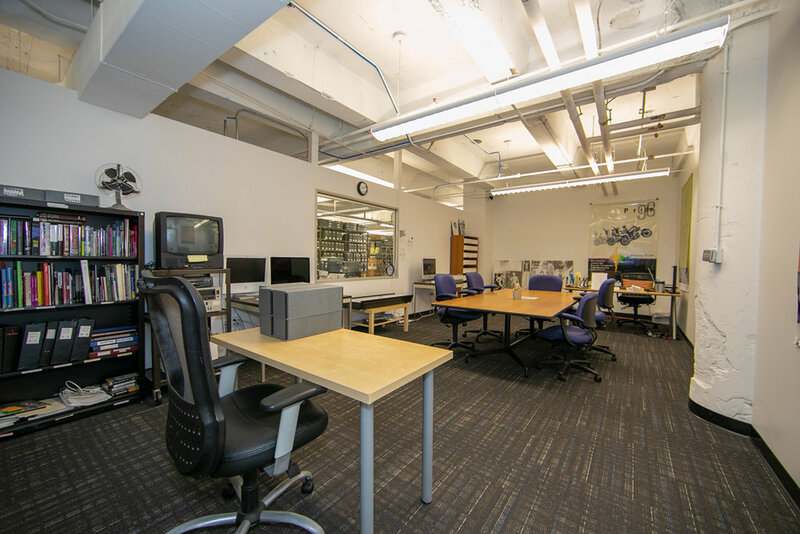 The Dr. John P. De Cecco Archives & Special Collections of the GLBT Historical Society are among the largest and most extensive holdings in the world of materials pertaining to LGBTQ people, occupying more than 3,500 linear feet of storage. Broadly speaking, our over 900 discrete collections fall into four main areas: archives, periodicals, oral histories, and arts & artifacts. The archives consist predominantly of personal papers, photographs, audiovisual recordings including both moving image and audio formats, and organizational records. These collections include unpublished material such as letters, diaries and scrapbooks documenting the lives of both ordinary people and community leaders. They also include the records of many community organizations, businesses and political campaigns. Our holdings are extensive, containing over 70 linear feet of ephemera (paper items such as posters, matchbooks, and other items usually discarded after use); tens of thousands of photographs; over 1,000 t-shirts; thousands of posters; and approximately 1,000 hours each of recorded sound, film and video. Our Periodicals collection contains over 4,000 periodical titles, with many rare and hard-to-find journals among them. The Oral History collection consists of more than 500 oral histories conducted with Bay Area residents from the 1980s forward. 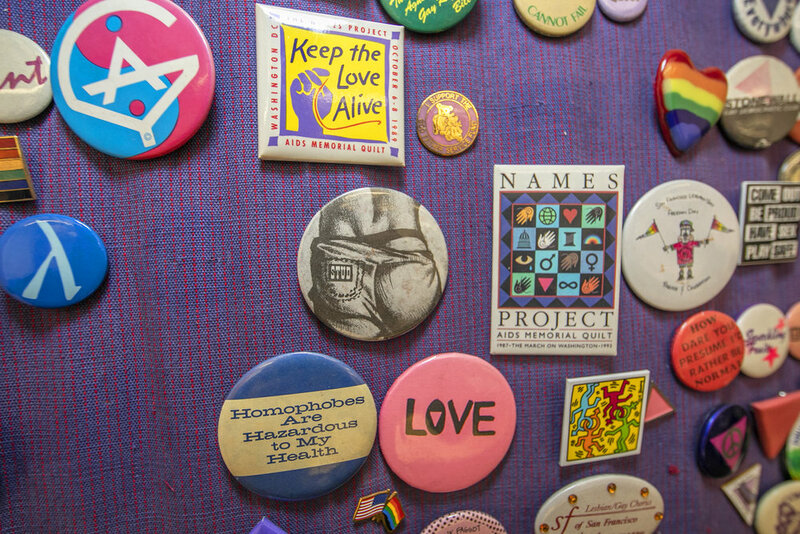 Finally, our Art & Artifacts collection consists of historic textiles, costumes, fine and graphic arts, and artifacts related to notable queer people and places associated with Northern California. The GLBT Historical Society’s archives are non-circulating. All materials must be consulted in the reading room. Due to limited space, all visits to the archives are by appointment only. Please note that at certain times of the year, appointments may be running up to three weeks in advance. Wednesdays and Fridays from 11:00 a.m. to 5:00 p.m.
Thursdays from 11:00 a.m. to 5:00 p.m.
More appointments are available for GLBT Historical Society members than non-members. Membership is $50 ($30 for students), helps support the work of the GLBT Historical Society, and comes with free admission to our museum. You can sign up for a membership here or when you arrive at the archives. Collections must be paged in advance before you arrive for your appointment. Please consult our catalog and associated finding aids to determine the collections you would like to consult. You will need to provide us with the name and/or six-digit collection number of at least one collection you will be consulting before you arrive. The collection number is a unique identifying number specific to each collection and can be found through the catalogue search function. Many collections are large and also have internal box numbers, so please provide this information if you have it. You may email the reference staff with collection information before your appointment so we can pull the materials for you. Don’t hesitate to contact us if you need help from the reference staff prior to your arrival. We will be happy to assist you. Appointments can be scheduled online through our appointment scheduler. If you are unable to access the scheduler, please email us. Pencils, paper, and digital cameras are allowed in the reading room. Personal scanners are not permitted. We will ask you to stow your personal belongings in the vestibule and consume any food or drink you have in our office staff room. No food or drink is permitted in the archives. You are welcome to take digital photographs of the materials without a flash for personal reference use. For information about duplications, licensing, permissions and associated fees, please click here. We maintain our extensive archival collections with generous help from foundations, business sponsors, individual donors and volunteers. You can join in supporting the archives by arranging a sponsorship, making a donation to the GLBT Historical Society, signing on as a volunteer — or all three! The archives are located on Market Street between Fifth and Sixth streets in downtown San Francisco. By BART: Take any San Francisco-bound train to Powell Station, then walk one long block west toward Sixth Street. By Muni: Via the Muni Metro, take any line (J, K, L, M, N, or T) to Powell Station, then walk one long block west toward Sixth Street. Via other Muni lines, streetcar line F and buses 5, 5R, 6, 7, 9, 9R, 21, and 31 all stop within a block of the archives. By Car: Metered street parking is available, but may be very difficult. There is a valet pay lot off Stevenson Street. Self-parking is available at the Fifth & Mission civic garage.